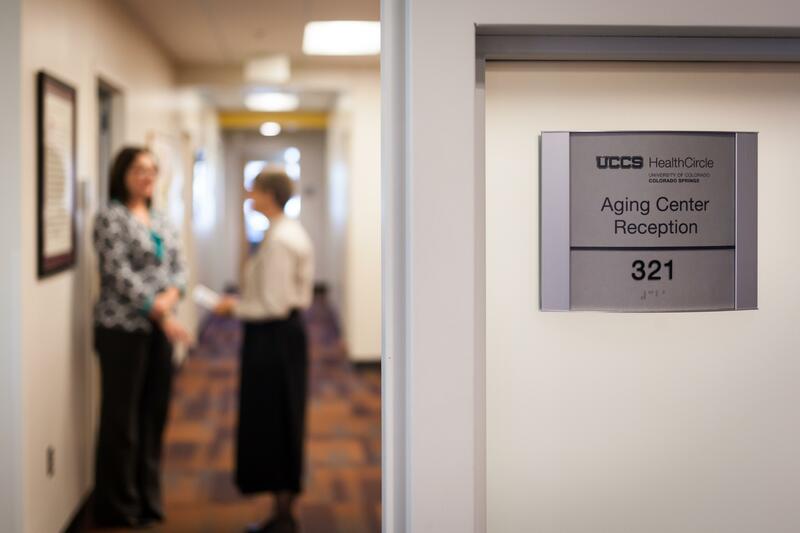 The UCCS Aging Center will increase mental health care services for at-risk local seniors through a half-million dollar grant from the NextFifty Initiative. The two-year, $567,182 grant will be used by the Aging Center to expand collaborations with five existing integrated care partners and with other agencies. The Aging Center will be able to increase the number of referrals from Peak Vista Community Health Centers, Rocky Mountain Program of All-Inclusive Care for the Elderly, Pikes Peak Area Agency on Aging, Pikes Peak Hospice and Palliative Care, and Silver Key Senior Services. The center will also be able to offer additional cognitive assessments to agencies who protects seniors’ rights and safety like Adult Protective Services with the Colorado Department of Human Services, elder law attorneys and long-term care facilities. The NextFifty Initiative is a Denver-based nonprofit organization dedicated to funding innovative, mission-driven initiatives that improve the lives of older adults and their caregivers. The UCCS Aging Center is a nonprofit community mental health clinic that provides individual, group, marital and family psychotherapy to adults 55 and older and caregivers as well as memory and neuropsychological assessments and consultation. Services are provided on a sliding payment scale by trainees and for Medicare reimbursement by licensed therapists with expertise in geropsychology. The Aging Center is one of five HealthCircle clinics located in the Lane Center for Academic Health Sciences on North Nevada Avenue. For more information, visit www.uccs.edu/healthcircle.